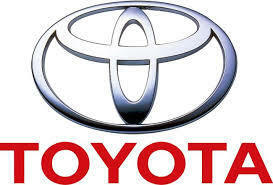 NADA January 27, 2019; Toyota Motor Corp. on Sunday promised U.S. dealers a slew of new products -- including hot utilities such as a redesigned three-row Highlander coming this year -- as it tries to remain the nation's top-selling retail brand. Automotive News reports that Toyota Division General Manager Jack Hollis told dealers at the NADA Show make meeting that the brand intends to introduce 19 new, redesigned or freshened vehicles over the next three years. That includes the recently unveiled Supra and a Corolla and Corolla hybrid sedan this year. In addition to punching up its utility lineup, Toyota remains committed to the sedan segment, even as rivals such as Ford and General Motors abandon it or pare back, Hollis said. The brand seeks to improve dealership profitability, which Hollis described as roughly even last year compared with 2017. Still, when the numbers are finalized, 2018 will end up being among the brand’s top 5 years for dealership profitability, he said.